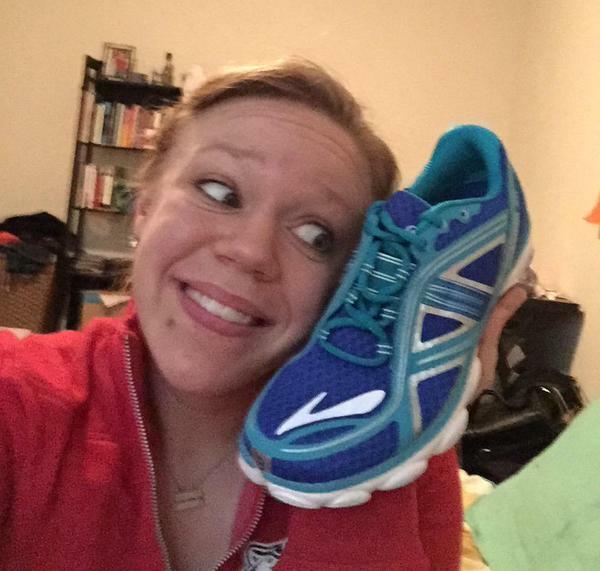 After five long months – yes, five – I’m finally able to run again. Because, let me tell you, that version of running barely counts. And is super frustrating. And no matter how much cross-training you do, it’s just not the same thing. This week marked the longest run I’ve been able to do since #bustedankle happened – granted, it was only a little over four miles, but I felt really good. I didn’t have to stop at all, and my legs and lungs (and ankle, duh) were strong. I’ve been doing almost all of my running on the dreadmill because 1. pacing is way easier and 2. it’s a lot harder (though not impossible, trust me) to roll your ankle on a flat surface. But, the upside to all of the treadmill running is that it makes speed work a lot easier. My goal this summer is to really work on pacing and speed. I’m running the Baltimore Marathon in October and I would love another PR and love negative splits even more. So, I’m prepared to embrace the dread. Good ol’ Tready and I will likely be getting very familiar this summer. Don’t get me wrong, there will be plenty of running outside. I can’t handle long runs on the treadmill. Nothing good could come from that. I would go insane. Also, I like the sunshine. But, I don’t like humidity… and I do live in a swamp. So, inside running doesn’t sound so terrible. Especially in July. Or August. Because DC is terrible then. So, here’s to a summer of many more miles and much fewer injuries! Cheers! What are your favorite treadmill workouts? Tabata? HIIT? Endurance? This entry was posted in Uncategorized and tagged Baltimore Marathon, running, training, treadmill, workouts. Bookmark the permalink.